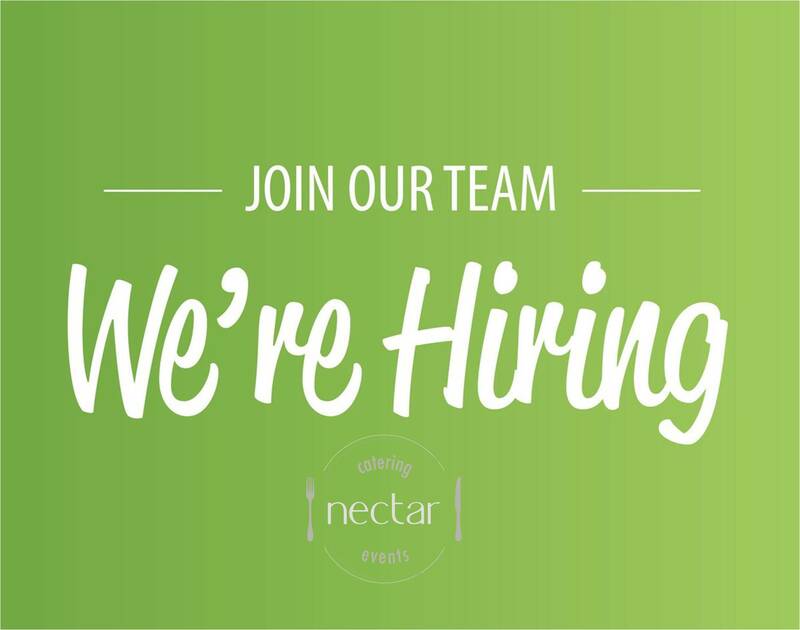 Nectar Catering and Events is looking for a highly skilled and experienced team member that can help us reach our goals in 2018 and beyond. Is this you? Is this someone you know? Please submit a resume by January 31 for consideration. Interviews will be conducted the first week of February with the final hiring decision made by February 15. Send resumes to hiring@nectarcateringandevents.com Attention Josh Wade. Nectar Catering and Events facilitates over 600 catered events each year at our facility and off site at our client locations. The team is looking to expand into other venues, streamline processes, and continue to focus on our strong event management reputation. The position is a full time salary position. Wage will be discussed and determined based on experience. Currently there is not a medical benefit package.